I may be a bit biased on this topic, or maybe the fact that I watch the sport of tennis tells me that Roger Federer is the most underrated and unknown superstar of our time. This is a man who has won almost every single major, in fact he has won the last ten out of fifteen grand slams. That is just unheard of. Currently he is going for the French Open where he has never won, and if all holds together he will face Rafael Nadal in the finals one of the only tennis player out on the tour who has a winning record against Federer. Being a fan of the sport I have to say watching Federer is really a remarkable experience, he is probably the best at making things look easy. Unlike Tiger Woods who gets really pumped and riled up when he does well which makes for great TV, Federer just goes about his business never breaking a sweat. I never was a fan of Federer until I continued to watch him and the fact that this man can just annihilate some of the best pro's on the tour is reason enough to enjoy watching him. 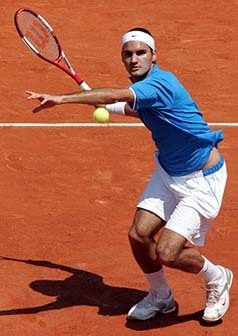 Lets go win the French Roger!